The Law firm of Mancuso & Cameron was formed in October, 2009. Mr. Mancuso and Mr. Cameron, the principals of the firm, and attorney Vicki Lesner worked together prior to the formation of the firm for eleven (11) years. In 2011, the firm moved to its present location at 722 E. Grand River Ave. in downtown Brighton. The firm is a member of the Greater Brighton Area Chamber of Commerce. The firm is fully automated and utilizes on-line research tools which enable the firm's attorneys to have the most up to date court decisions, statutes, court rules, treatises, etc. available at all times. 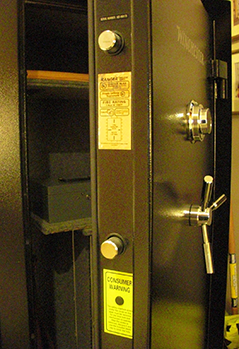 The firm utilizes state of the art data storage devices and maintains a secure facility protected by a security and monitoring system for the protection of its facility, data and client information against fire and theft. The firm serves several municipal clients, business clients and individuals in Livingston, Oakland, Genesee and Washtenaw Counties. The firm is a member of the Greater Brighton Area Chamber of Commerce and the Brighton Area Historical Society. The firm supports several local organizations and charities such as Gleaners Food Bank, Rotary Club of Brighton, Michigan, Brighton Optimist Club, LACASA and the Livingston County Community Alliance.